Teri graduated at the top of her class from the Euro Institute of Skin Care, one of the finest schools in the nation. She trained in traditional European and Naturopathic techniques, using the finest skin care products and equipment. Living on San Juan Island since 1992, Teri has immersed herself in the natural beauty and serenity of island life. 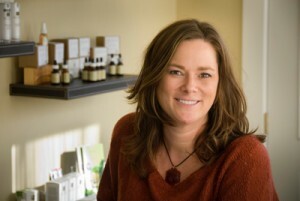 She is passionate about the island community, and excited to share her skin care knowledge and experience with others. Visit our Services page to see what Gentry Aesthetics can do for you.